This third volume in the story of the end of Southern steam covers events upon the region from April to July 1966 when the sun nearly always shone and came earliest in the south! 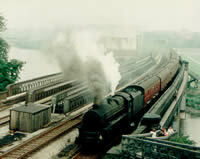 A variety of steam power was still to be seen and we feature 15 classes of engine. The Waterloo to Weymouth line workings are well covered and this was a time when another section of the Isle of Wight Railway closed, Ventnor to Shanklin. 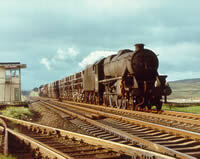 The last runs of the Maunsell moguls occurred with their magnificent finale on the two Longmoor railtours in April. 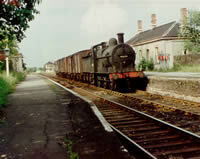 “GORDON” of the Longmoor Railway was at large on the Southern Region, and the last steam engine on the Weymouth tramway put in its appearance. 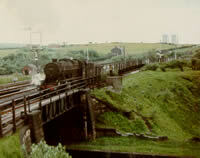 On this day the only Black 5 to work a railtour on Southern metals is seen. 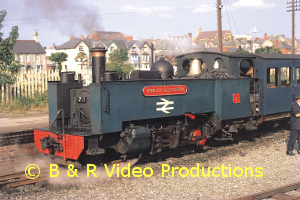 This video has full lineside coverage of these events with some footplate scenes and an in depth look at motive power depots like Nine Elms. Locations include Bincombe bank, Basingstoke, Wimbledon, Waterloo, Windsor, Salisbury, Bournemouth and Yeovil, along with Ryde to Ventnor on the Isle of Wight. There is even a trolleybus and a flying P.W. trolley! 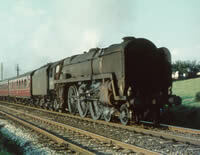 Three main railways ran through the East Midlands. 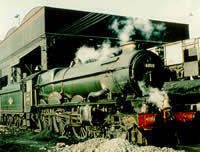 The Midland itself, the LNWR and the last to arrive was the Great Central. This video looks at these lines and their connections and branches from 1959 to 1967. 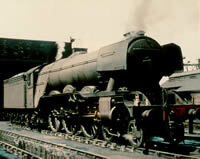 The GC is followed from Marylebone to Nottingham, with views from 1964 with B1, Hall, Jubilee and 9F, plus the last workings of Stanier’s Black 5’s when things did not always go to plan; a failure of 44936 at Brackley is a gem! 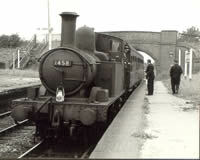 The Newport Pagnell branch is covered before a long look at the Leighton Buzzard to Luton secondary line. Luton is featured before a journey along the original Midland route to London, from Hitchin to Bedford, when 3F’s still worked the freight. Northampton to Peterborough East follows before viewing the Seaton to Stamford push-pulls from the lineside, on the footplate and on train. Ironstone was once the big industry in the East Midlands and n in depth look at the systems and BR’s role in taking it away is featured. 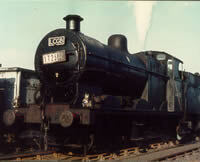 Derby Works and shed are visited as well as the Wirksworth branch. 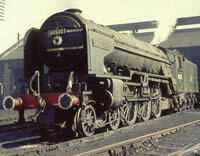 Motive power seen is predominately LMS, 0F, 2F, 3F, 4F, Black 5, Jubilee, Super D, Scot and Duchess. 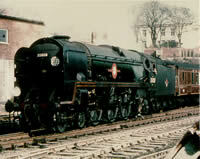 Seven Bl’s appear, even an Al pacific, GW Hall and Castle, and Merchant Navy 35030. 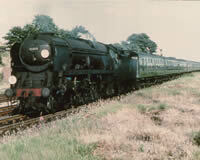 Along with Standard types this shows that the East Midlands certainly had variety. 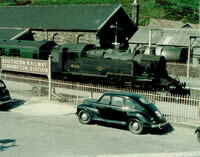 Early liveried diesels also appear, including DP2 and the Blue Pullman.